Etching House makes Australian art obtainable by making it affordable. 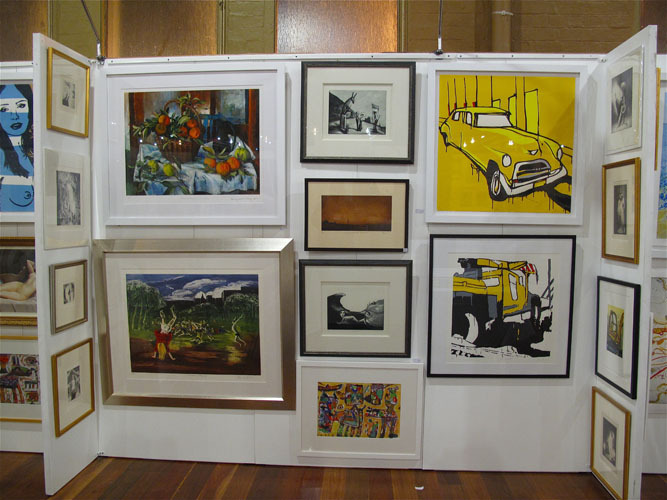 Margaret Olley, Jasper Knight, and Garry Shead Jason Benjamin fine artworks all together at the Etching House Art Show in Melbourne. Australian iconic artist Margaret Olley fine art collection of etchings, prints and works on paper is on display at Etching House Affordable Art Show Melbourne. For a decade Etching House has been exhibiting works by Margaret Olley. The Loyal Melbourne public have been visiting Etching House each year to view over 160 different works of art on display, each year there has been a changing collection of pieces by artists like Jasper Knight, John Coburn, Margaret Olley, Ray Crooke,. David Boyd, Jeffrey Smart, Tim Storrier, Robert Dickerson, Norman Lindsay and Garry Shead just to mention a few. Etching House is dedicated to the collection selling and distributing fine art by Australian artists, while it’s a passion mainly it is also a means of making these artist works available for show or purchase at a affordable levels, hence Etching House launched 7 years ago its 12 month purchase plan commonly referred to as lay Buys, this initiative has enabled thousands of people to enjoy and embrace the opportunity to acquire fine art. Etching House finances all such purchases for the love of art and there are no fees.